Hi. I'm Emma, and I'm a stay at home mum. I hate having to say that to people. I really do. Especially at the school gates, when I'm asked the dreaded question, "So, what do you do?" Even though I feel comfortable in my decision to stay home with the kids, I always feel like I'm being judged. Like it's something to be ashamed of. I often feel guilty admitting I have a first class degree, or that my husband gives me money each week to buy the groceries. So sometimes I'll say, "I work from home". But its not really true. Yes, I do earn some money from my blog and youtube page, but I would earn more if I went out to work. Used my degree. And it's not really a job. I left Channel Mum because I didn't want to feel tied down to a company. To have this space taken away from me. This is a hobby more than anything. It makes me feel sad that we live in a society where the government don't truly value the stay at home mum. Where families with only one working parent are not entitled to half the amount of help they would if both were. We receive no child benefits, no tax allowances, no special treatment. And it's not that we want that or even need it, it's the fact that by taking that away it puts a massive stigma on the idea of mums staying home to care for their children. It is becoming against the norm. And that's sad really, isn't it? My kids benefit greatly from me being home. As does my husband. 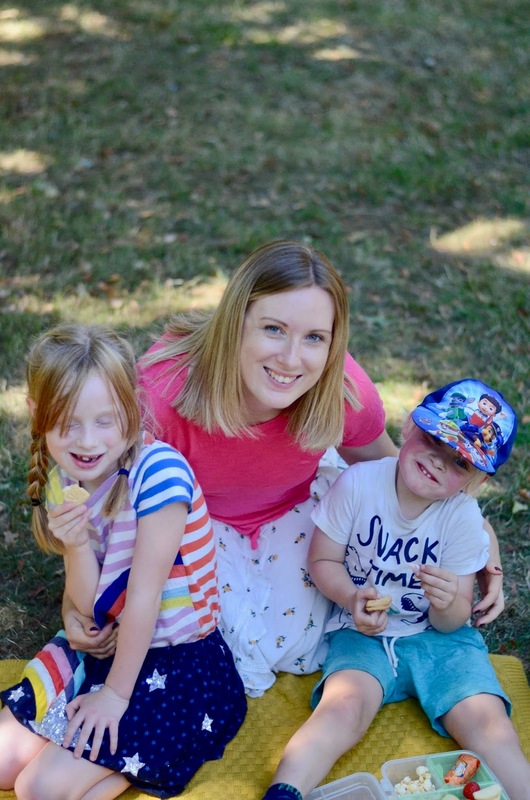 I am able to get my children ready for school in plenty of time, make packed lunches, meal plan and save money on groceries, spend quality time with my 2 year old son, have dinner on the table every night in time for my husband coming in from work... If Alice ever feels unwell at school or has an accident, I can be there within 10 minutes of receiving the call. I can be with her on every sick day too. Overall, our household runs smoothly because I am here to run it. 6am - Dave gets up with the kids and makes them breakfast (cereal and fruit). I stay in bed to get some more sleep as I'm usually up a couple of times each night with one or both of the kids! 7am - Dave leaves for work and I get up and tidy the breakfast things away and then have my breakfast. 7.30 - I give Alice a quick 20 minutes piano lesson before getting her a Thomas dressed and ready for the day. 8.30 - School run! I drop Alice at school for 8.45 and then Thomas and I go to the shop to pick up anything we have run out of. This is also the time I would post any letters that need posting, stop by the bank or run any other errands (picking up Daves dry cleaning on a Friday!). 10am - Thomas and I get home. I make Tom a snack and do a quick clean up of the house and usually clean one room thoroughly (bathroom or kitchen usually). I also put a wash load on. 12pm - Lunch time. I make Tom and I some lunch and we sit together and watch a few cartoons! 1pm - Weather permitting, we will spend the afternoon in the garden. I have 3 vegetable patches which will hopefully save on some groceries in the summer months! I'm also hoping to get an allotment soon, which is just down the road from us! 2.55pm - School run number 2! Back again to pick up Alice. Sometimes I stop at the shop to get the kids an ice cream and other days we stop by the park for a bit. 3.30- 4.00pm - Home! I make the kids a snack and cook them a nice dinner. I also make up Alice's pack lunch box for school the next day and put it in the fridge ready for the morning. I check through her book bag and deal with any letters. 5.00pm - Sometimes I will give Alice another quick piano lesson or do some drawing with them both. 5.30-45pm - Bath time. I'll give the kids a bath and then put Thomas to sleep first while Alice plays on her iPad. 7pm - I stay in Alice room until she falls asleep, around 7pm. 7-7.30pm - I come down and make dinner for Dave and I. Dave is in anytime between 7.30-8.30. We'll eat and watch tv for a bit. And that is a typical day of mine! Being home allows me to keep the house in order, keep up with washing, run errands for Dave (you can see he works quite a long day! ), be there for Alice should she need me and much more. Our arrangement works well because we both respect each others roles in the family. Dave understands that looking after the kids is not an easy job and offers me a lay in at the weekend or is happy to take them to the park on a Saturday morning so I can have some me time! And I understand that Dave works a bloody long job and do my best to help him out where I can, like have his dinner ready and pick up his dry cleaning. 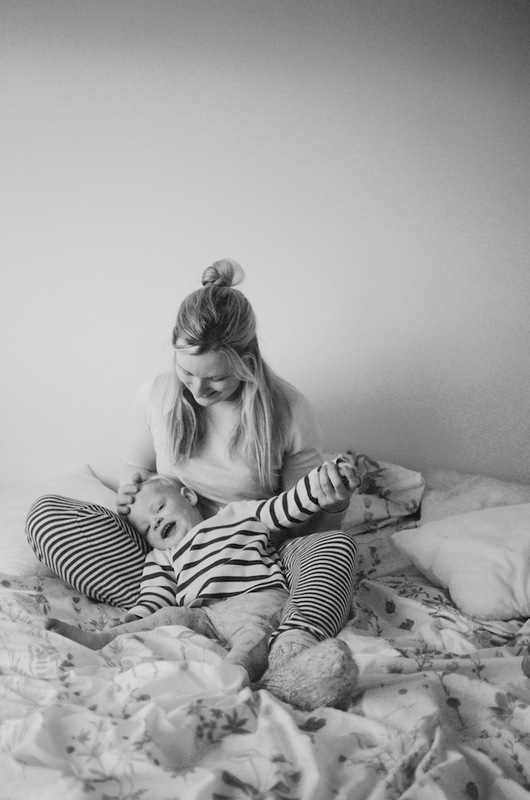 I hate that I feel guilty for being a stay at home mum. I love staying home with my kids, I really do, and I feel sad that people would judge me for my life choices. But I guess nothing will change until people start to stand up for the stay at home mum and not be ashamed. So next time someone at the school gates asks me what I do, I'm going to say. "I'm a stay at home mum!" Thanks for this post! I'm in the same situation. We love this way and it brings such peace to our home. I'm wondering everyday how other mums juggle everything we do and work on top of that? It must be very chaotic. I'm proud to stay at home with my children because I know their first years of life is predictable and safe for them. That is priceless and I won't sacrifice that to have a job! Thanks again Emma, I'm very encouraged to read this and to follow you!